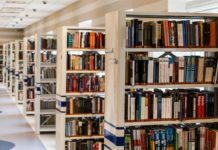 We have compiled the ultimate list of top 15 law colleges in Delhi NCR region. 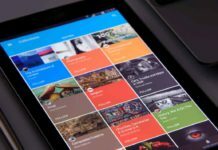 The listing is rank based that takes into account popularity, quality education, courses, seats and more. Delhi NCR region is the ideal location for anyone planning to start a career in law. That’s because Delhi has India’s top two law institutions – Supreme Court and Delhi High Court. Apart from these, there are many other judicial organizations and authorities based in Delhi. Moreover, India’s top law firms and lawyers have their head offices in Delhi NCR region only. Therefore, anyone planning to start a career in law in Delhi NCR region gets this dual advantage. 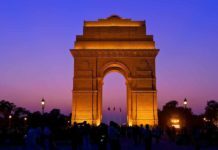 Above all, Delhi is national capital and India’s second-leading metropolitan city in terms of the economy after Mumbai. 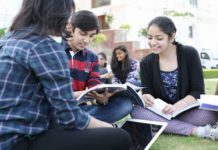 Hence, getting the admission in any one of the top law colleges in Delhi NCR region comes with a lot of benefits. In addition, India’s top law colleges are based in Delhi NCR region itself. And it is undeniable that your career in law is highly dependent on the law college you choose. That’s why you should be targeting top law colleges in Delhi NCR region to get admission. National Law University based in Delhi is one of the 19 National Law Schools in India by Central Government of India. As it is the premier and central Government institute, therefore, the competition level is quite high for admission. 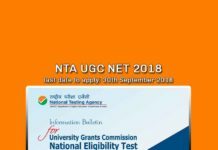 There are thousands of candidates that apply each year for its dedicated entrance test (All India Law Entrance Test) to get admission into NLU Delhi courses. The plush campus infrastructure is the world-class level that has excellent classrooms, courtrooms, and canteen. 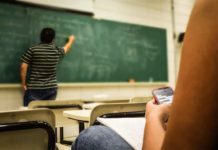 In addition, all classrooms and practice courtrooms are equipped with excellent furniture and all modern classroom amenities and equipment. Furthermore, NLU Delhi has top-class teaching faculty and also has India’s top lawyers as its visiting faculties. Recently, 5 grads from NLU Delhi cracked UPSC Civil Services Exam. It shows the level of quality one gets at NLU Delhi campus. 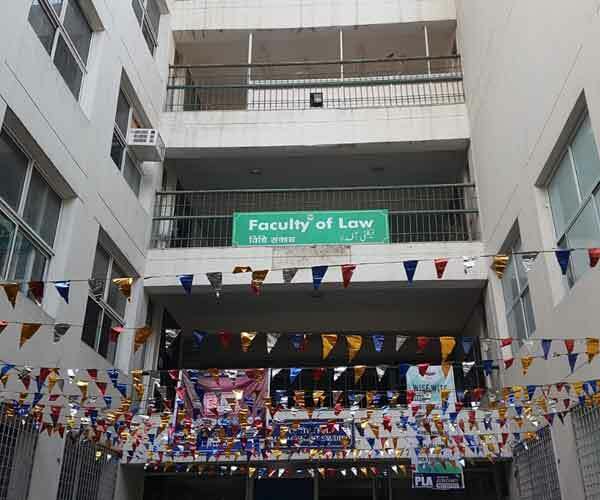 The University of Delhi’s Faculty of Law consists of three campuses namely – Campus Law Centre, Law Center I and Law Center II. 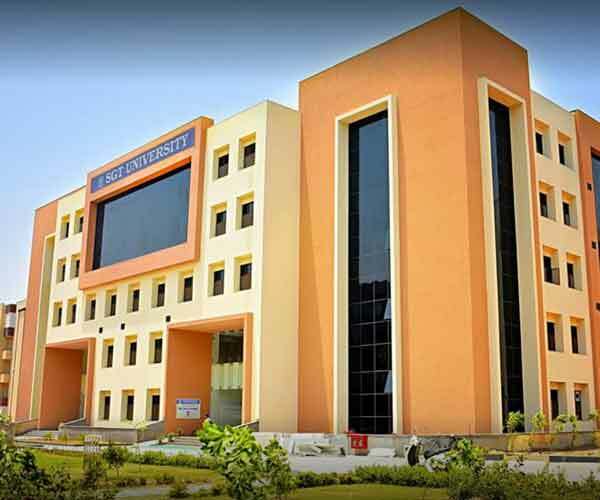 Therefore, this unique structure of three campuses allows Faculty of Law to enroll more than 2400 students at a time. Moreover, the Faculty of Law is listed among India’s top Law Schools leading to high competition in the DU LLB Entrance Exam. The campuses and infrastructure may not be at par with India’s top Law Colleges. Nevertheless, the teaching and research faculties are top class and outstanding. Also, you get the edge to study in Delhi University as all law campuses are based in the heart of North Campus. The DU’s Faculty of Law has also produced many law professionals who are now Supreme Court and High Courts’ Judges and Lawyers. In addition, many are also now successful politicians and civil servants. 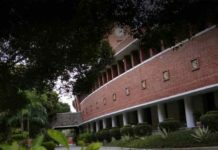 JNU’s Centre for the Study of Law and Governance is particularly designed to encourage research and development in public policy, legal studies, and reforms. 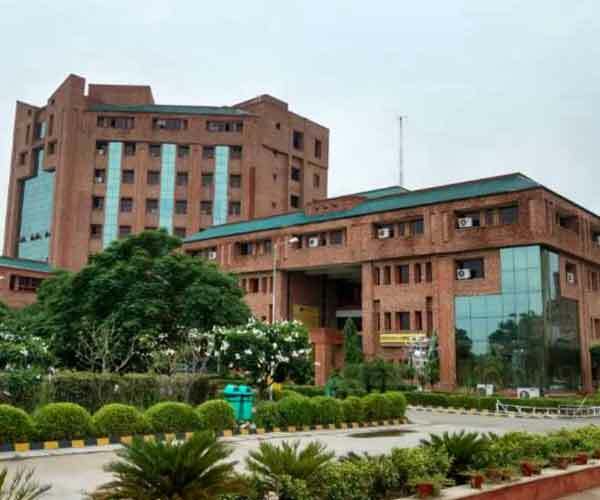 It is premier law center in India that attracts researchers from different sections and regions of India, and around the world from the world’s top universities. There are only two law doctoral research courses at the JNU law center that are MPhil and Ph.D. The law teaching and research faculty at JNU are world-class that has some of the distinguished researchers and professionals on board. The campus is based in the heart of JNU campus surrounded by greenery. Though the building of CSLG is good enough to provide basic classroom experience with a dedicated library for legal studies and research. If you are planning to pursue research in law and governance then JNU’s CSLG has to be on the top of your list. 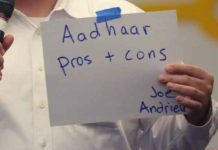 That’s because JNU’s tag could open a wide variety of opportunities for you. 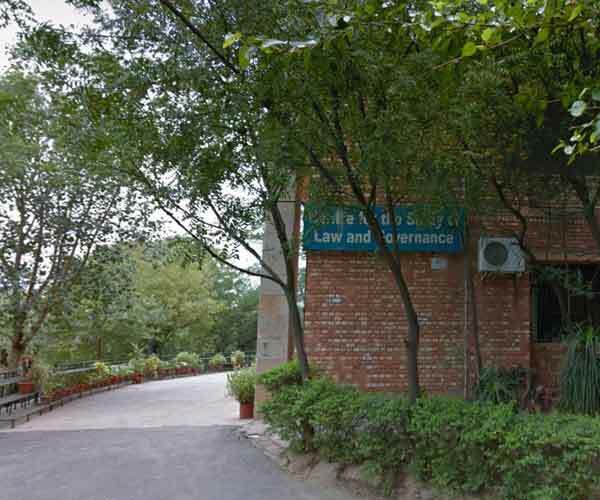 JMI’s law faculty is another popular and top ranking law college in Delhi that’s situated in the heart of South Delhi. With easy connectivity through Delhi Metro, Bus, and Shared Rickshaw you can easily travel to JMI’s law faculty from anywhere in Delhi NCR region. The law courses at JMI’s law faculty cover undergraduate to doctoral courses. Allowing young aspirants to pursue further education in law and legal studies at one place. The law faculty campus is 5 minutes walking distance from the main JMI’s campus. That too surrounded by all greenery and shades making it peaceful around the campus. Moreover, the infrastructure at the JMI’s law faculty is upgraded to meet modern teaching requirements. In addition, the Moot Courts are built inside the classrooms allowing students to practice while learning. Many of JMI’s alumni are working as civil servants, lawyers to HC and SC, and serving to Judicial services of different cities and states. 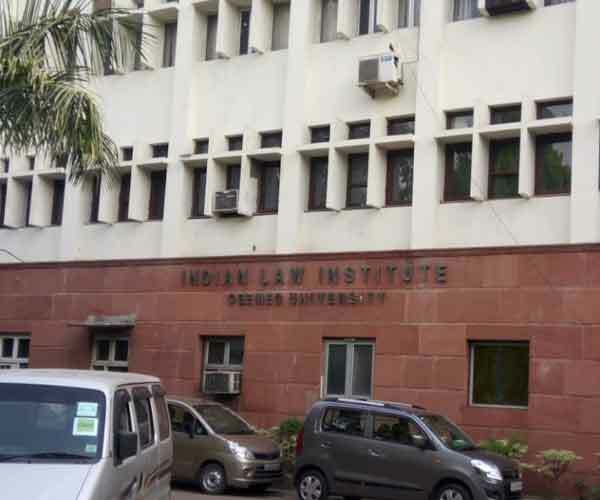 Indian Law Institute is another top and leading law college in India that is based in the vicinity of Supreme Court in Delhi. Moreover, it is driven by India’s best law professionals, judges, lawyers and legal experts. If you’re searching for an opportunity to maximize exposure and networking in the judiciary and law vertical after your LLB then this is the place. You could take up any PG Diploma or LLM course here and also practice side by side. Above all, you will always stay updated with all the important happenings, events, cases, and issues in India that affects our law and order system, and governance. The campus is large enough, and equipped with all latest modern technology and infrastructure for legal studies. The president of the Indian Law Institute is Chief Justice of India, and vice-president is Union Minister of Law and Justice. Hence, by this, you could judge the reputation and value of pursuing the course at ILI Delhi. 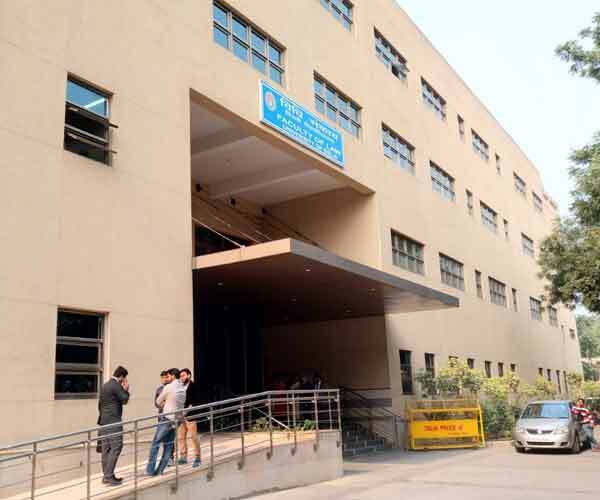 The University School of Law and Legal Studies is a dedicated law college in Delhi by GGSIP University. It was founded in 2001 to offer law courses and research opportunities. It offers a wide variety of courses from Undergraduate to Doctoral level courses. 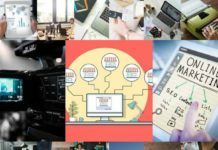 That too with different specializations, which are most sought after in the industry. The USLLS claims to offer an interdisciplinary environment and approach to legal studies. 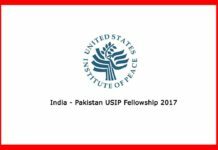 The USLLS law college in Delhi is based at GSSIP University Dwarka 60 acres campus. The campus has the state-of-the-art infrastructure with classrooms having moot courts and modern equipment. As this law college based in Delhi, therefore you get to meet top lawyers and judges of India. In addition, you get to attend all the latest seminars and functions related to legal issues, cases and much more. The TERI School of Advanced Studies in Delhi is a not-for-profit educational private institution. That offers the wide variety of niche and most sought-after courses in different verticals. It cannot be categorized as a dedicated law college. Though it offers one LLM course with specialization in Environment. 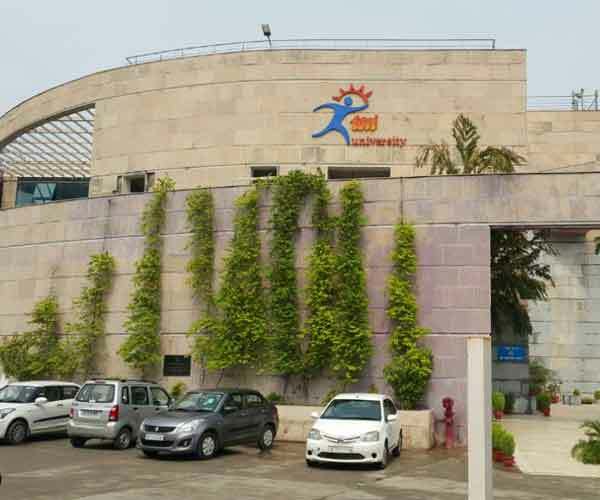 The institute is located in the South Delhi’s posh area of Vasant Kunj that offer upmarket lifestyle and easy connectivity to the airport, Delhi metro, bus and commuting services. The campus building has the modern architecture with updated classrooms offering the world-class learning experience. Above all, the teaching and research faculty comes from different backgrounds and verticals making it truly an interdisciplinary learning experience for any student. Apart from that TERI attracts a lot of visiting faculties from around India’s top institutions. This particular LLM course at TERI is designed to cover a very niche subject. 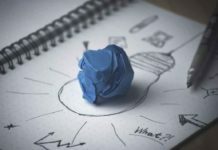 That offers you a unique opportunity to start a career in this very niche vertical. 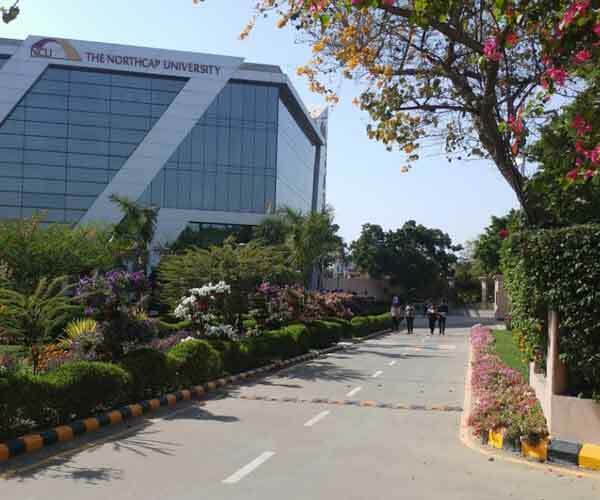 The NorthCap University is based in the posh area of Gurgaon Sector 23A, which is near to NH48, and just 20 minutes drive away from Delhi. The former name of NorthCap was ITM University but for some unknown reasons, they changed it. Since inception, the NorthCap University has been delivering quality education, and its law courses are quite popular as well. As it has scored B Grade nevertheless, it is ranked 82nd in all India university rank in NIRF. 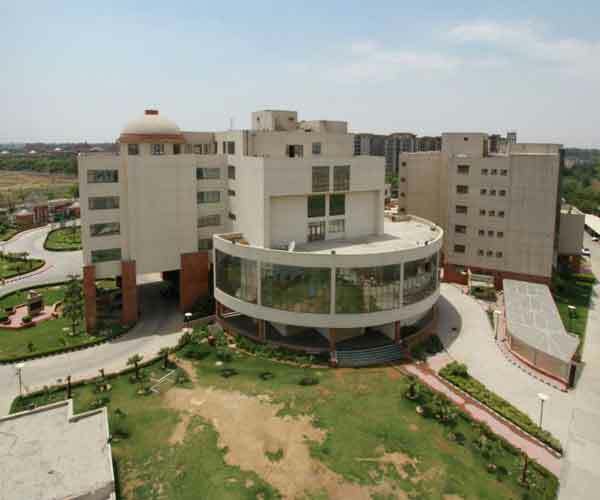 The campus is spacious that’s spread across 10 acres of land in the green and upmarket place of Gurgaon. Moreover, the campus offers the top quality infrastructure combined with the latest technology. If you are looking for a private university to take admission in any law course then the NorthCap University has to be on top of the list. 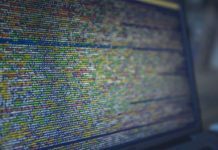 However, the high fees could the be a detrimental factor. 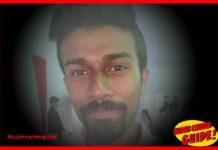 The slogan “the world is here at Sharda University, where are you” captured the imagination of young aspirants. 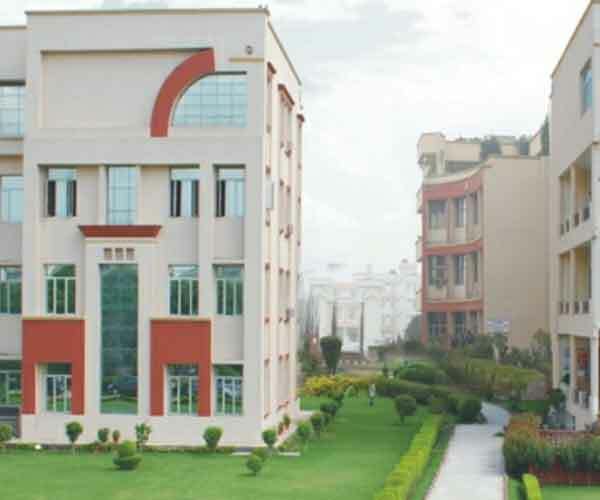 However, over the period of time, Sharda University has built its reputation as a quality educator and reliable brand. 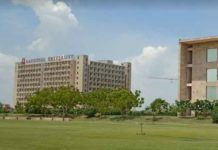 It is based in Greater Noida, that’s not too far from Delhi and connected with major highways of UP and Delhi. The campus area is spread across 63 acres that have colossal university buildings of various departments. The campus has everything from spacious seminar halls, canteens to hi-tech classrooms. For the law campus, it has large enough classrooms to conduct moot courts and seminars at regular intervals. Again, the high fee could stop you from taking admission here, apart from that you get everything you want to have a great learning experience. Also, the campus placements are good enough to help you start a career right after course completion. 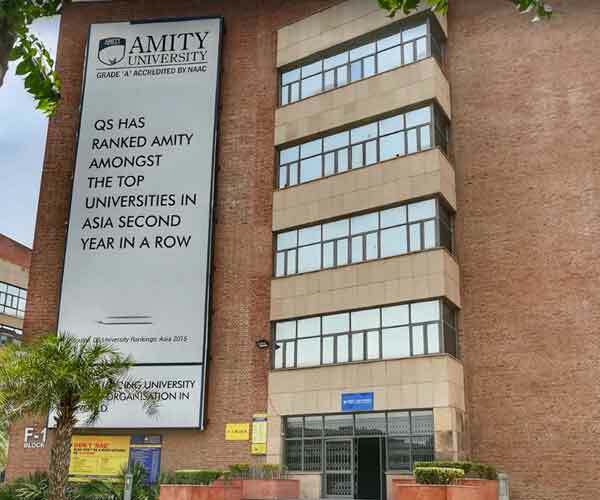 The Amity Law School Delhi was affiliated to GSSIP University, but due to the controversy of a student’s suicide, it was disaffiliated in June 2018. However, the quality of education and faculty and everything else remains unchanged. Because of disaffiliation, ALS Delhi will not be participating in the GSSIP University’s admission procedure and entrance exams. Therefore, a separate notification for this will soon be released. The ALS Delhi has consistently been ranked top among India’s leading law schools and colleges. 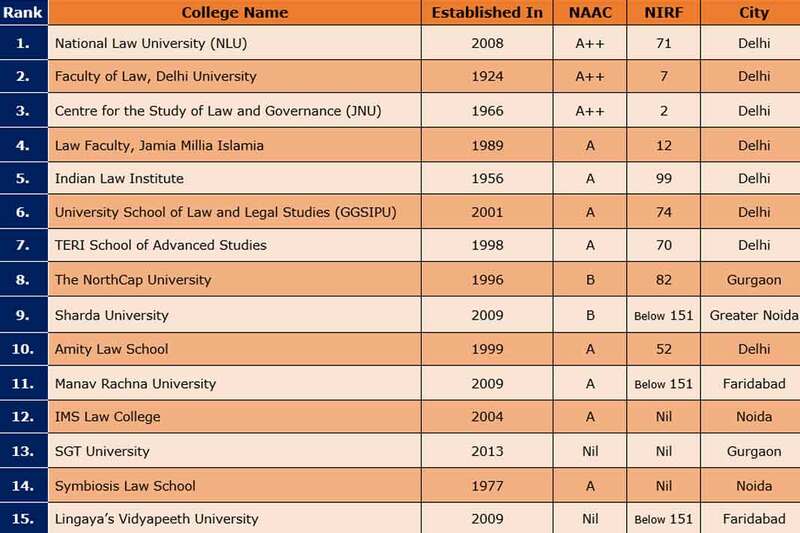 The Week-Hansa Research survey ranked ALS Delhi 11th on India’s Best Law Colleges 2015 list. The Infrastructure of ALS Delhi is at par with other top law colleges in Delhi NCR region. 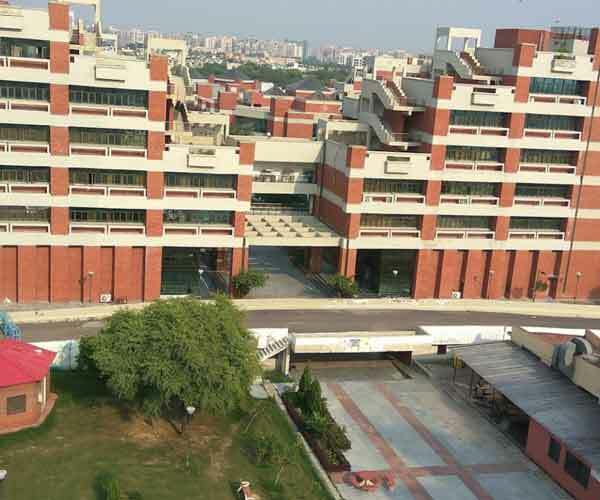 With dedicated building for ALS Delhi in sprawling Noida campus, it offers spacious classrooms and the large library. 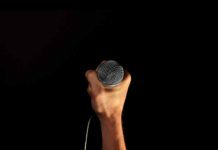 Also, the fee is on the affordable side, but things can change after disaffiliation. 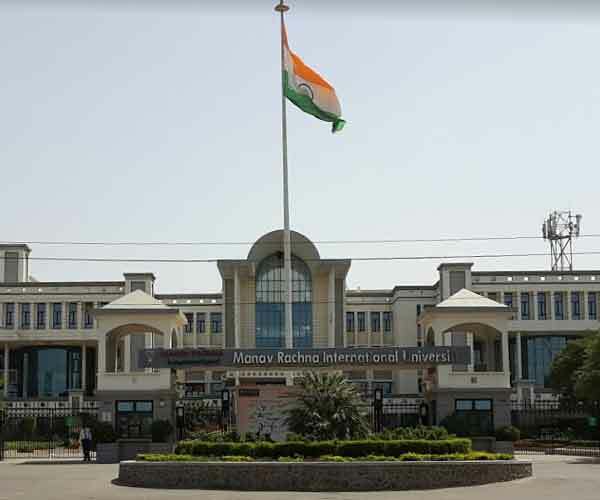 The Manav Rachna University is based in Faridabad city, which is adjunct to Delhi state, also it is well connected to other NCR cities in the region. The 60 acres sprawling campus of MRU is widespread with 6 departments inside. The law courses at MRU are limited to undergraduate courses only. Nevertheless, the updated infrastructure with all the important amenities and technologies are available in the classrooms. Also, the law campus is guided by an advisory board that has retired Chief Justice of India, SC and HC Judges. MRU claims to offer good placement opportunities right after course completion. That again is enticing as many young beginners do not get the job or opportunity to practice. Moreover, the alumni of this university have rated it ‘good’ for its quality education. 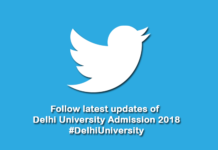 However, it is a private university, therefore, the fee is high but still affordable in comparison to other top law colleges in Delhi. If you’re planning for postgraduate studies in Law you may be disappointed here. IMS Law College is affiliated to Chaudhary Charan Singh University and approved by Bar Council of India to conduct law courses. This college is based in Noida Sector 62 that already have many other top institutes, MNCs’ offices, and government bodies. 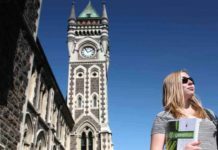 There are only two courses available one’s is undergraduate and another is a postgraduate law course. On 5 acres of land, the IMS Law College buildings are situated that has all basic amenities, spacious classrooms, and updated technologies. Moreover, the teaching faculty is adorned with doctoral and top professionals in law. That automatically enables IMS Law College to deliver quality legal education. 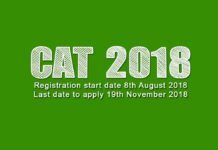 JET (Joint Admission Test) with the personal interview is conducted each year to offer admission to its BA LLB and LLB courses. The fee of this private law college is on the bit affordable side also the college has tie-ups with banks to offer education loans. SGT university is based in Chandu Budhera of Gurgaon that’s near to main city Gurgaon and Delhi Airport. The university spans over 70 acres of land with 18 different departments in different verticals. It is the youngest university of all on the list, which is an advantage. This university is largely known for its medical courses. Nevertheless, there are other courses that are popular too such as Management and Law courses. Its dedicated department for law offers undergraduate, postgraduate and doctoral courses. Furthermore, the top-class teaching and research faculty comes with world-class education and extensive experience. Above all, the nicely designed classrooms both normal classrooms and moot courts are well furnished and equipped with modern technology. Apart from that SGT university law department regularly conducts a lot of seminars in collaborations with India’s top law schools and universities. All in all, SGT university law department offers you excellent classroom learning experience. 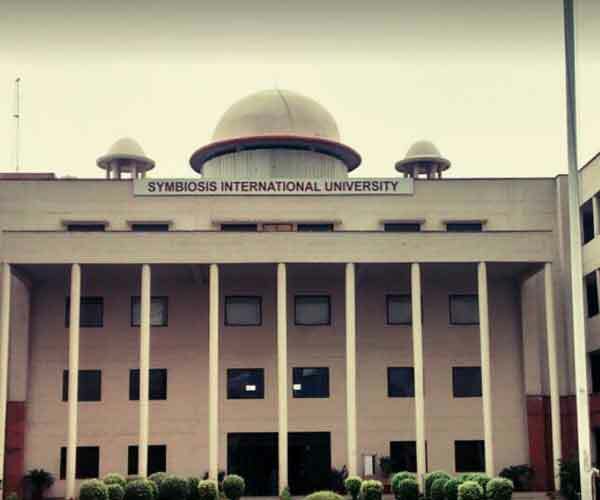 Symbiosis as a private university has made a name for itself and remarkably made to the top list in a variety of verticals. On the same lines, Symbiosis Law School in Noida is ranked among top law colleges in Delhi NCR region. Moreover, NAAC has accredited it, and grade A, which speaks for its quality of education and infrastructure. Though the institution itself is only eight years old. Apart from quality education, SLS also has the state-of-the-art infrastructure that includes a library, classrooms, seminar halls etc. that meets the top standards. Moreover, the moot courts built specially for all students to practices daily. 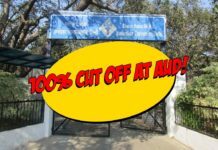 But the major factor that may stop you to take admission to Symbiosis Law School is the exorbitant fee that goes up to 2 lakhs per annum. That many students may not be able to afford, in addition, may not get education loan for it. 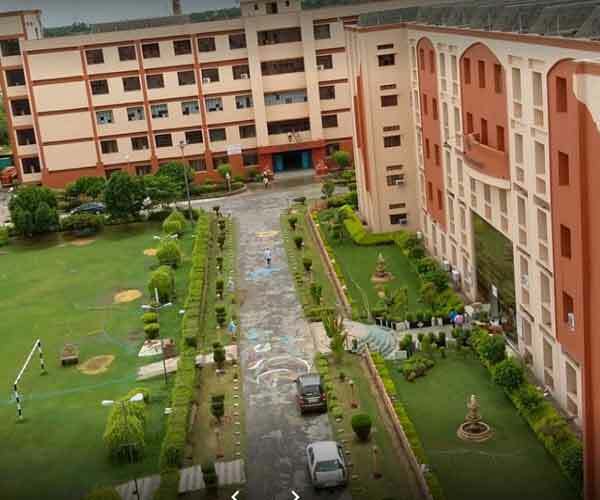 The Lingaya’s Vidyapeeth University is developed on a 60 acres land in old Faridabad that’s effectively connected to Noida and Delhi. But still, the markets around the place do not have much to offer. However, the institution and its facilities, and amenities won’t disappoint you. 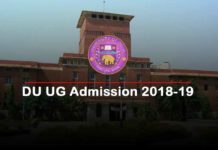 Nevertheless, it is not above par in comparison to other top universities on the list. The quality of teaching faculty is the major reason you would want to join this university. Furthermore, the campus area has dedicated buildings to each department. The law department building is one of it, that has spacious classrooms, a large seminar hall, and space for moot court competitions. The LVU takes pride in good placement record, however, we couldn’t find specific details for law course graduate placements. 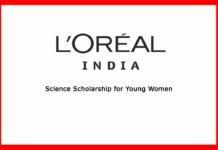 Besides that, top renowned companies are in their placement list such as Amazon, Apple, Mahindra, Tata etc. 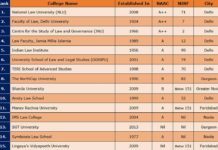 So, this was our list of top law colleges in Delhi NCR region. If you think more could be added then feel free to tell us, we would be happy to add deserving law colleges in Delhi to this list. If you have questions or doubts, then feel free to ask below.